This was one of the How It Works Tutorials on Registration Data Access Protocol or what we know as RDAP. 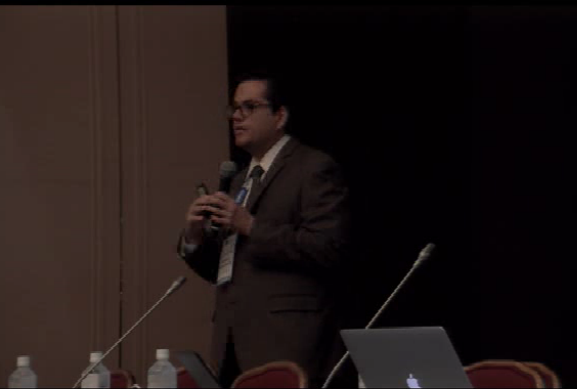 The presenter for the session was Mr Eduardo Alvarez from ICANN’s GDD Technical Services Department. He gave a brief introduction to Registration Data Access Protocol (RDAP). Firstly, he explained the issues such as No standardized format, Lookup only, Lack of Support for Internationalization etc in the WHOIS protocol and then talked about the features of RDAP, hence helping the attendees to understand how RDAP is the successor protocol to the very old WHOIS protocol. Then, he covered the mentioned topics query syntax, data structures, features and future enhancements of the protocol. RDAP queries and responses were briefly explained, how well the RDAP gets along with JSON was also mentioned and in the later stages of the session RDAP Features and Concepts were also explained to the attendees. The ongoing work with RDAP was also talked about and then the work that can be done in the future using RDAP was an intriguing topic in the session. At the end of the session, the stage was opened up for any doubts or questions on RDAP which were cleared by the presenters. It was a basic level session aimed to help those who were unfamiliar with how RDAP works.